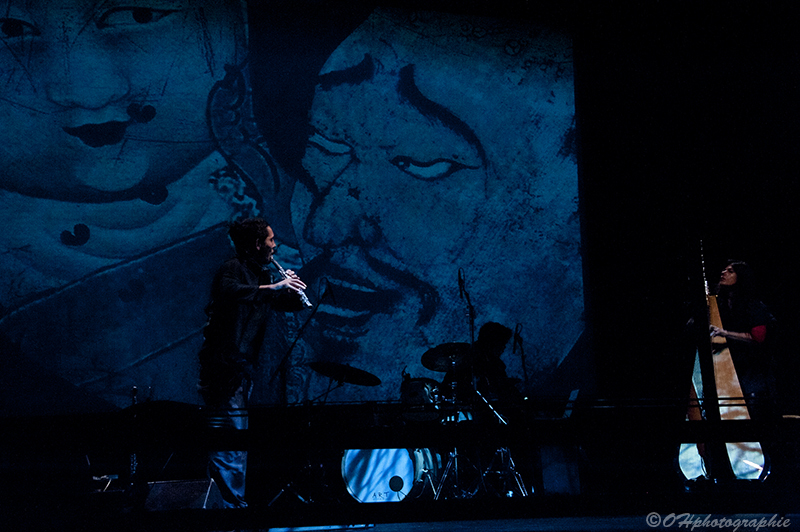 Yama’s Path is an electro-acoustic oratorio in 4 parts, 4 movements, and 4 animated videos. Freely and creatively inspired from the Tibetan wheel of Life and Tibetan folk tales, Yama’s Path presents a fantastical and experimental visual world, coupled with a dense, energetic musicality and staging. 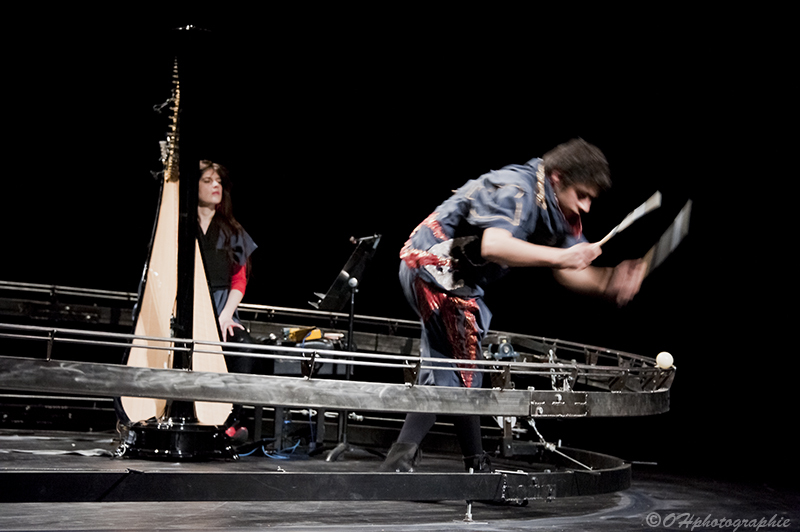 Three musicians interpret and improvise in the middle of a circular sound structure, which surrounds the stage. This setup creates a dynamic sense of movement and serves as the link between theme, image and music. coproduction : l’Usine – lieu conventionné dédié aux arts de la rue (Tournefeuille/Grand Toulouse), Césaré – centre national de création musicale (Reims). With the support of DICRéAM (Dispositif pour la Création Artistique Multimédia) du CNC, SPEDIDAM, studios Puce Muse (Paris), Steim (Amsterdam), Fées d’hiver (Hautes-Alpes).